We had to wait our turn to take our photos with the stamp. There was a steady stream of visitors, including a bridal party, looking for a great picture. 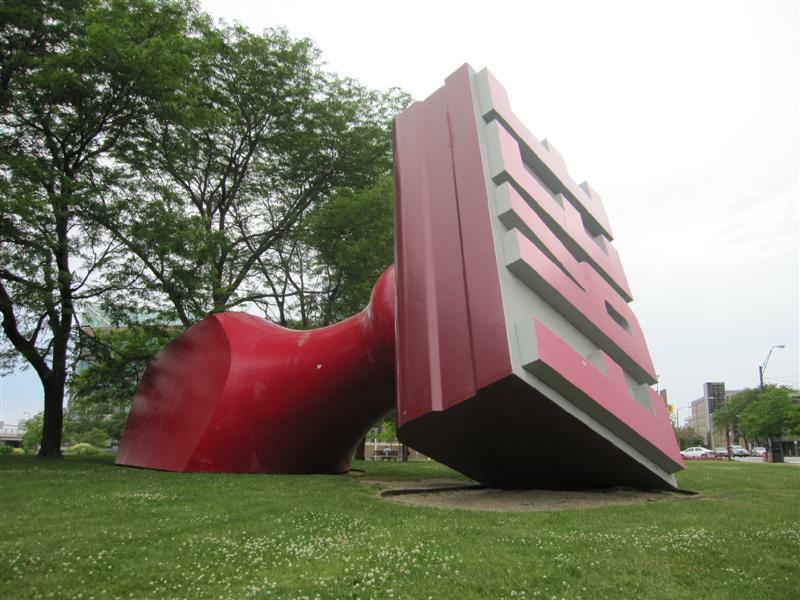 I’ve become such a fan of Claes Oldenburg. 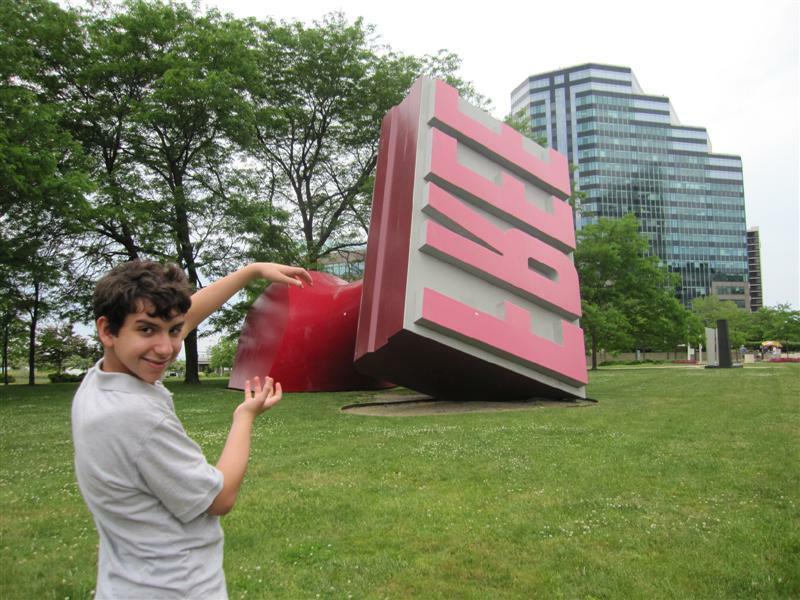 He created two of the pieces we saw recently in Philadelphia, including the world’s largest clothes pin. Epilogue: 24 hours within returning home, The Boy was able to replace his phone, thanks to the insurance plan. Happiness and harmony restored. I saw this when I was in Cleveland…I had no idea it was the world’s largest though. It’s certainly an interesting piece of art, especially given its location. A bridal party visiting the world’s largest stamp? Now… I’m no event planner, but it seems like someone could have put a little more thought into that decision. No offense to the stamp. It’s quite impressive. BTW. if it’s free, does it mean that you can take it? I’d like to see someone try to take it; it’s massive!! Love the rubber stamp! My teen’s cellphone rarely leaves her hand either – I swear she sometimes falls asleep with it in her hand! She also gets annoyed with me when I don’t instantly respond to text messages – because apparently I’m supposed to be tethered to mine too! I seriously just read that there’s now a condition called “sleep-texting” affecting teens. No joke. There is an upside to teenagers addiction to their cell phones. I can go to wake the boy up in the morning, and no matter what I do, he just keeps rolling over. If I text him however, he’s up like a shot and checking his message. I’d love to know who “she” is that he’s so anxious to get a text from. Love the stamp, although shouldn’t they have a giant ink pad next to it? I have a strange fascination with the “world’s largest” items! And that stamp looks awesome, if only I had a reason to go to Cleveland! I love it! I agree with Steve, needs a giant ink pad.